Lapins Cherry - Prunus avium sp. I like to call this the "Self-Fertile Bing" since no one knows the name Lapins. 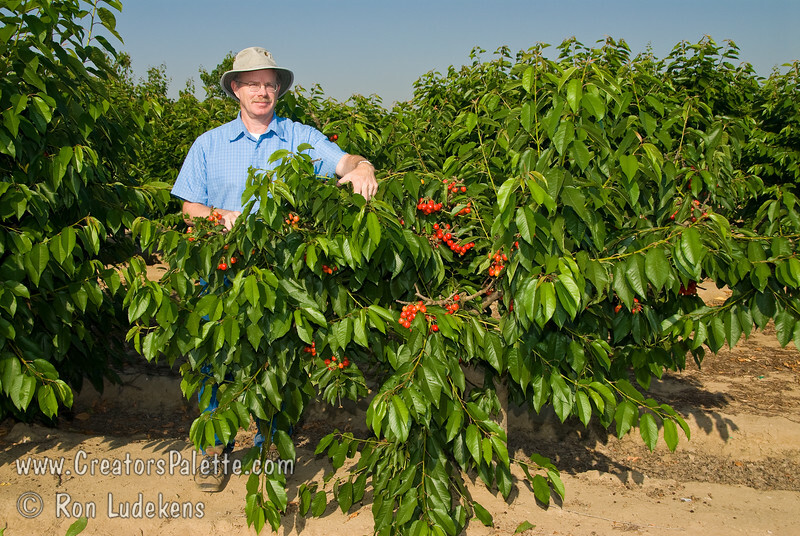 Fruit is similar to the Bing Cherry but, unlike the Bing, this tree is self-fertile - not requiring a pollinizer. Large fruit. Dark red skin. Purplish red flesh is firm and sweet. Resistant to cracking. Good pollinizer for other sweet cherries. Developed in Canada. Ripens Late Season, 1-2 weeks after Bing. Requires approximately 900 hours chilling. Yours truly next to a young Lapins Cherry tree.